This is a delicious hazelnut ice cream recipe with caramelized hazelnuts. Last summer, I was making no-churn ice cream recipes with my niece very often. They were super easy to make. I was making homemade condensed milk(with less sugar) and my niece was folding the condensed milk into heavy cream. We were adding the flavor we wanted and our delicious creamy ice cream was ready. What is the secret of condensed milk in no churn ice cream? If you made my homemade condensed milk, you know that some water is removed from the milk. As the water is removed, the milk thickens and it becomes condensed milk. Since the water is removed, it prevents ice crystals from forming. So when you make an ice cream with condensed milk, you don’t have to churn it to prevent ice crystals. Sugar in condensed milk also lowers the freezing point and this results in soft ice cream. 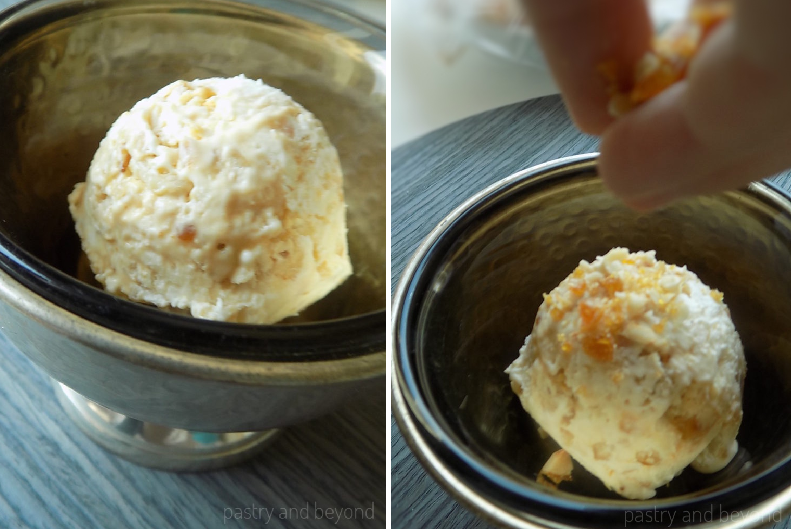 If you want to make a no-churn ice cream, using condensed milk is a very good option. The steps are extremely easy. If you don’t have condensed milk, you can easily make your homemade condensed milk. 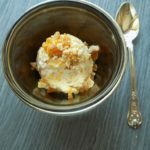 Today I share caramelized hazelnut ice cream recipe. Again I make it with my lovely niece. First I make my caramelized hazelnuts. It takes only 10 minutes. When they are cool, I cut them into small pieces. I keep them aside. 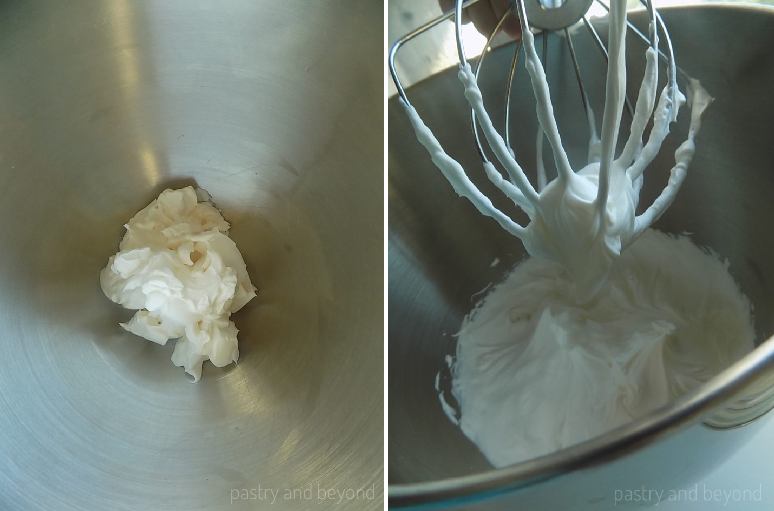 Then I put the heavy cream into my stand mixer and mix with whisk attachment at med-high speed until stiff peaks form. After the heavy cream is whipped, I transfer the bowl to my niece and she folds the condensed milk into heavy cream in 3-4 batches. (You can fold the heavy cream into condensed milk but I find this way easier.) Alternatively, instead of folding, after the heavy cream is whipped, at low speed, you can add the condensed milk. Then I pour half of the mixture into a loaf pan and I sprinkle half of the caramelized nuts on top. I mix the mixture with a spoon. Then I pour other half mixture on top and then sprinkle other half caramelized hazelnuts on top. I mix the mixture with a spoon again. 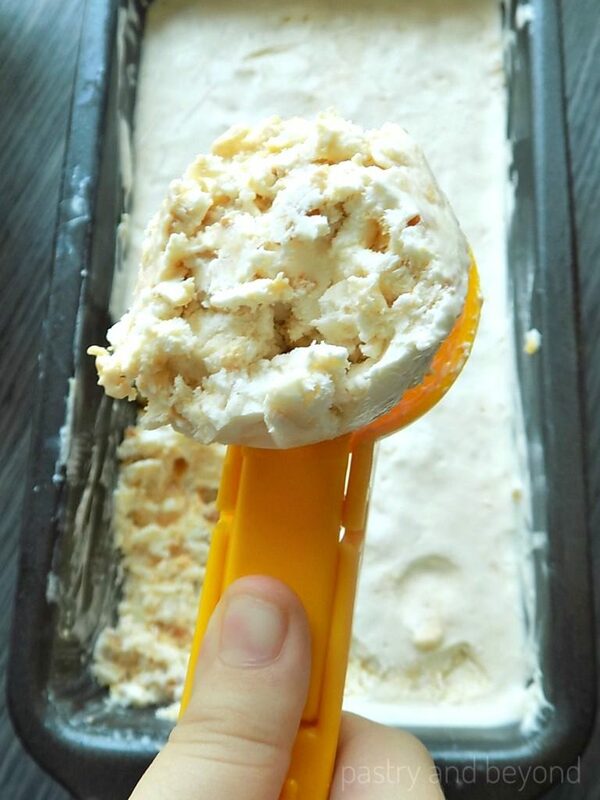 Previously, I’ve tried to fold the nuts into the ice cream base, but they didn’t equally spread. So sprinkling and mixing in a pan is a better option. It is best to keep this ice cream in the freezer for 24 hours, but if you can’t wait that long, after 8-10 hours, it will start to firm up-so you can eat it. Don’t let this ice cream stay outside for long, as it can melt easily. 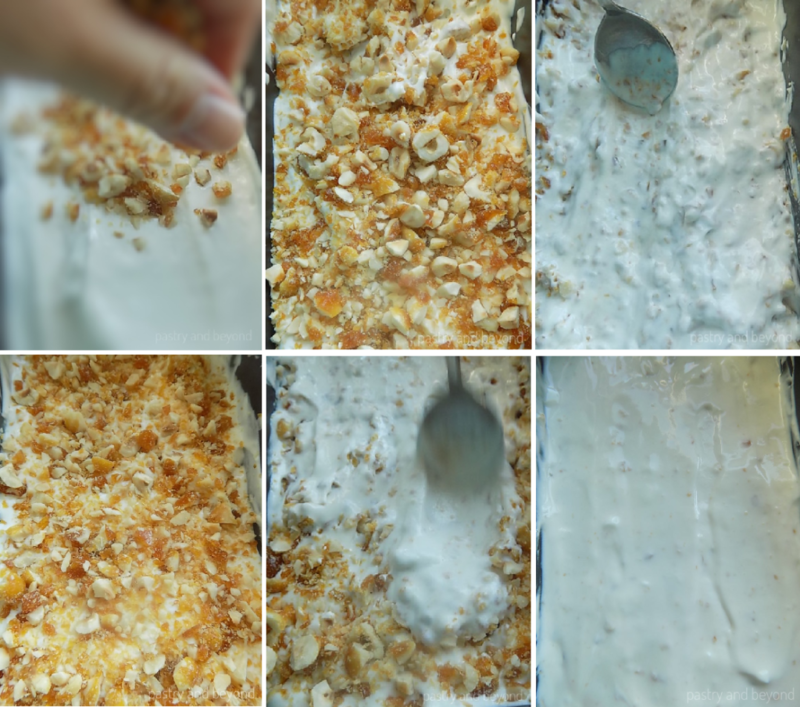 My niece takes a scoop to show you the consistency, and she also makes the servings, she sprinkles some caramelized nuts on top and we enjoy this creamy ice cream. 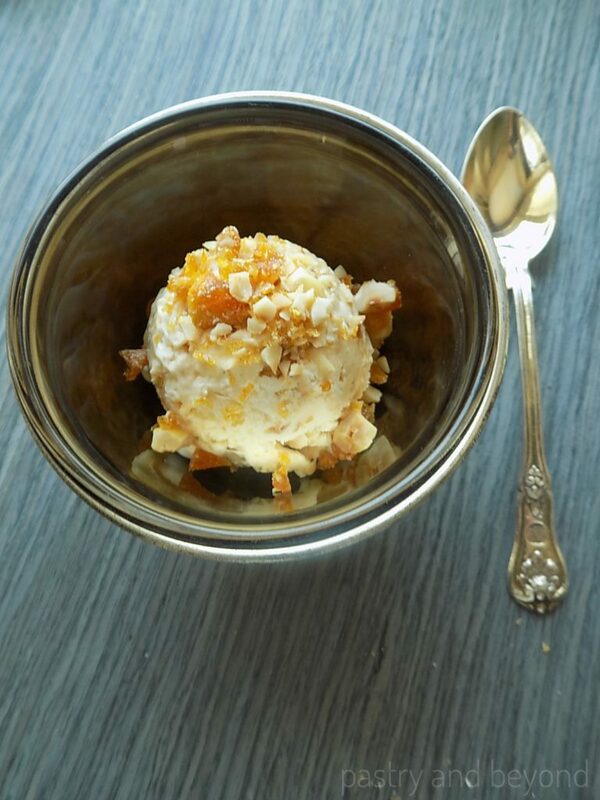 No-Churn Caramelized Hazelnuts Ice cream is creamy and takes only 20 minutes to make. Creamy base and caramelized hazelnuts make a good contrast. It takes 8-10 hours to firm up but it is best to eat after 24 hours. First make the caramelized hazelnuts and chop into small pieces. Set aside. 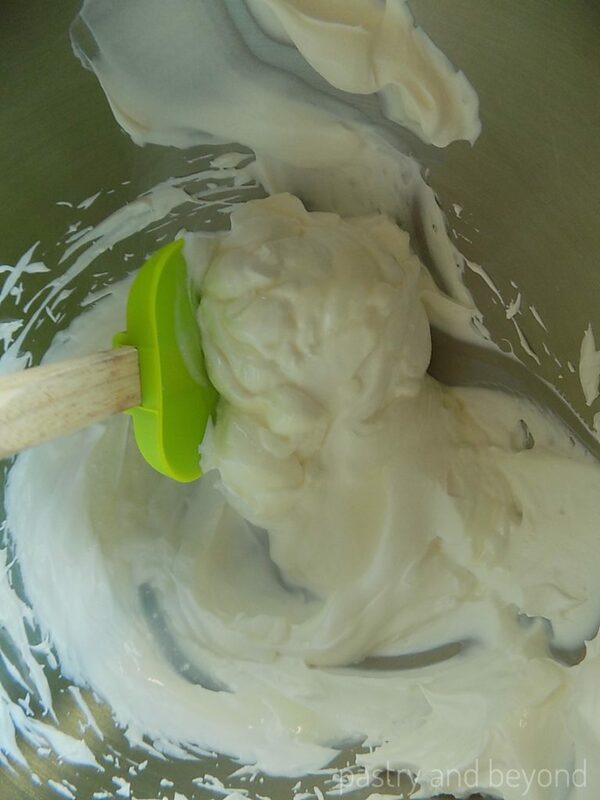 Place the heavy cream into a mixing bowl and mix with whisk attachment at medium-hign speed until stiff peaks form. Fold the condensed milk into heavy cream in 3-4 batches. Alternatively, you can slowly pour the condensed milk into heavy cream at low speed. Pour half of the mixture into a 8*4 inch (21*10cm) loaf pan. 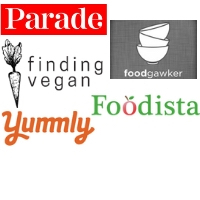 Reserve 3 tablespoons of chopped caramelized hazelnuts (30g) and set aside. Sprinkle half of the remaining caramelized nuts on top(50g). Mix the mixture with a spoon. 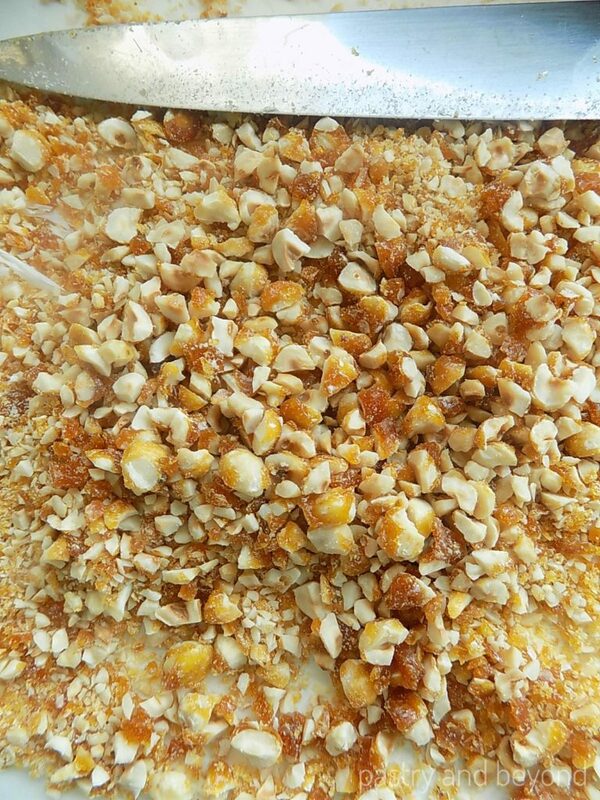 Then pour other half mixture on top and sprinkle other half caramelized hazelnuts on top(50g). Mix the mixture with a spoon again. Keep in the freezer at least for 8-10 hours until it firms up. It is best to eat after 24 hours. Don’t let the ice cream stay outside for long, as it can melt easily. When serving, sprinkle the caramelized hazelnuts on top that you reserved before. If you don't have condensed milk, you can easily make homemade version.